Let's raise a toast to a company that has been part of Chicago since 1936. Solo Cup Company is a global manufacturer, distributor and marketer of convenience items used to serve food and beverages. Solo products bring sanitation, convenience and fun to the lives of people everywhere. 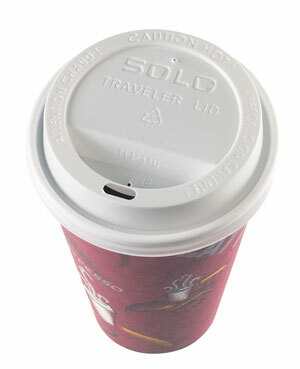 Solo manufactures single-use hot and cold cups, lids, plates and bowls from paper, plastic and other innovative materials. Consumers purchase Solo products at retail stores and enjoy their benefits everyday in foodservice environments including convenience stores, colleges and universities, hospitals and most of the leading quick service restaurants. The SoloGrips® line of convenience tableware is the company's flagship branded retail product and includes the iconic red plastic Party Cup. Foodservice products from Solo are part of the experience consumers expect when >enjoying a cup of coffee or soda from their favorite restaurant. Headquartered in Chicagoland since 1936, Solo has manufacturing sites across the country including a major facility on Chicago's South Side. Throughout its long history, Solo has brought to consumers a notable list of innovations. In the 50s, the company introduced a leak-proof cold drink cup that became popular at drive-ins around the country. In the 1970s, the colorful plastic cold cup was launched, quickly becoming a standard requirement for entertaining. The year 2004 brought many more choices to Solo customers when the company acquired Sweetheart Cup and combined the offerings of the two companies into the industry's most comprehensive product portfolio. The same year saw the introduction of SoloGrips®, an ergonomic line of cups, plates and bowls designed for fewer spills and less mess. Solo also worked with suppliers to develop the first FDA-compliant paper hot cup made from 10 percent post-consumer recycled content. This cup is favored by a nationwide chain of coffee specialty stores. In 2005, New York's Museum of Modern Art recognized the Solo Traveler® lid for its distinctiveness and added it to the Museum's permanent collection. Currently working to meet the global demand for environmentally friendly packaging, Solo is committed to developing sustainable solutions that make the best use of materials and energy, maximize the use of renewable or recycled materials, and have optimal product life cycles. Solo Cup Company has grown and thrived based on the performance of its products and the strength of its trusted brand name. Solo products have kept pace with evolving trends and the needs of consumers' increasingly on-the-go lifestyles to become an integral part of people's everyday lives here in Chicago and around the world.